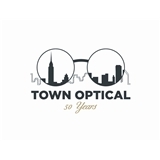 Town Optical (New York) - Book Appointment Online! Town Optical has been a fixture in New York City for over 50 years. We have a state of the art facility with accurate computerized prescriptions. We specialize in eye disease treatment, laser vision correction, vision therapy, and contact lenses. Town Optical also has a Eye Glass Laboratory on site. We carry an extensive, exclusive line of frames and will have you seeing 20/20 with one of our caring experienced doctors in no time. Really good experience. Went over my lunch break and was in and out in 30 mins. It was great. She took my former doctors place and I feel she has the same commitment to her patients eye care. Dr. Viktorya knows what she is talking about and answered all of my concerns I had.